Montygog's Art-O-Rama! 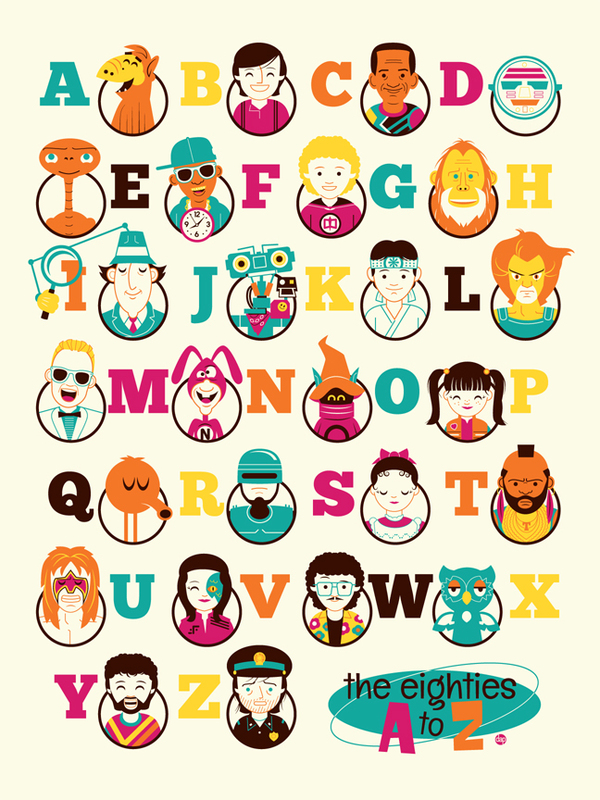 : Eighties!... I'm living in the eighties! 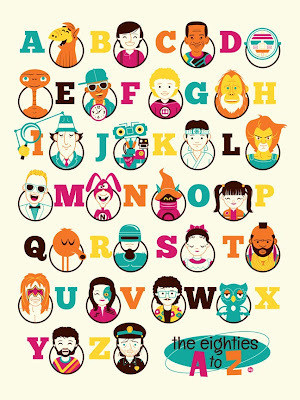 Eighties!... I'm living in the eighties! Here's another print I have debuting at San Diego Comicon this year, this time over at Gallery 1988's booth #1117. Wanted to do an alphabet of things that maybe weren't the most popular things from that radical decade, but definitely memorable things for myself. Ok, man. You've stumped me. Zed, from Police Academy... Bobcat Goldthwait's first major movie role. Dr. Theopolis from Buck Rogers. Classic. "S" is Vicki from Small Wonder! But who is "Y"? I'm drawing a blank on "X". Anyone know?